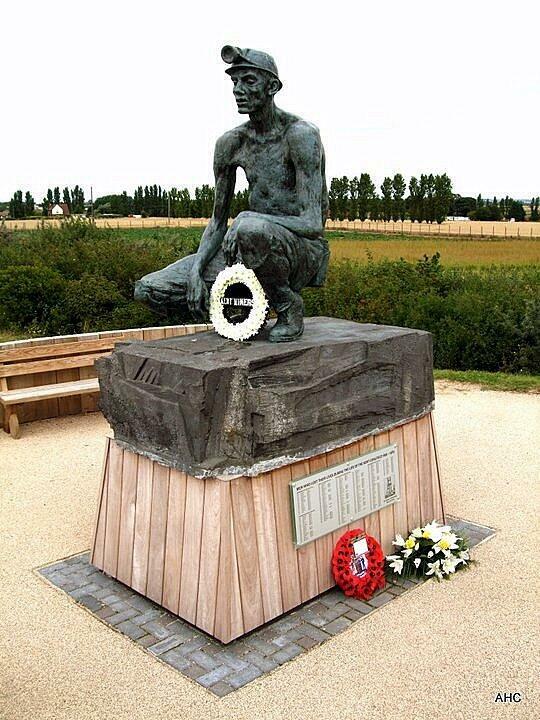 The Waiting Miner – the memorial to Kent miners placed at the site of the former Betteshanger colliery, the last mine to return to work in 1985. Sussex folk won’t forget supporting Kent miners during the Miners’ Strike of 1984-5. We collected food and money around our communities and joined the pickets when attempts were made to bring scab coal in through Shoreham Harbour. We learned lessons about Tory lies then which we haven’t forgotten, nor will we. All miners deserve to be remembered, but the miners of Kent are often overlooked. Find out more about the Kent ex-miners community. If you’re not already a member of one, join a TUC-affiliated trades union, but don’t just join, get active. Support the Durham Miners Gala, one of the great annual celebrations of the labour movement, which is appealing for friends to help it continue. See the last screenings of The Spirit of ’45 at Dukes at Komedia in Brighton at 3.45pm today. Join the LRC! And buy your tickets for Sussex LRC events at Brighton Fringe via tab above or now through Paypal. ← Brighton Says No to Kershaw’s Cuts! We hope Bill, Ann and many more people with similar memories will come along to our opening free event in Brighton Fringe 2013 – May Day Memories: Tell Us Yours. Drop in at Community Base, 113 Queens Road, Brighton between 12-5pm on Saturday 4 May 2013 to recount your memories of May Days and other struggles and protests from now or years gone by. Sussex LRC is starting to record memories from the local labour movement around Sussex, because these are memories too precious to lose. People are welcome to bring materials such as leaflets, badges, placards, flags and banners, which Sussex LRC members will film you with. Or, if you prefer, Sussex LRC members will take a sound recording, or help you make a written record. It’s up to you what you contribute and whether you do it individually or with a group of friends. Volunteers with extra recording equipment will also be warmly welcome. Free refreshments will be provided. More details in Brighton Fringe tab and see the Press Release under Press tab. We hope this will develop and preserve a tremendous resource for the future.